Year End Tax Planning- Act Now! Read this or you may miss out! Understanding all the different tax issues can be frustrating to say the least. We have outlined below the usual issues that you should consider coming up to the Year End (5th April 2011), however this year it is important to note that due to recent changes announced, it may be your last chance to benefit from some of these. Make sure you use the allowances available to you and your family to best effect. Consider transferring ownership of assets to your spouse to make use of personal allowances and basic rate tax bands. Every child is entitled to the normal single person’s allowance even in the year of birth. However, if you provide the funds for your child’s investment, the interest will be taxed on you unless it is less than £100 per year. If someone else (e.g. a grandparent) provides the funds then the income is taxed on the child. The maximum investment for 2010/11 is £10,200 of which £5,100 can be cash. ISAs grow free of income tax and Capital Gains Tax. Pension age may not seem to be top of your priority list after mortgages etc however paying pension contributions can actually give tax relief at up to 50%. Employees should check that their PAYE code for 2011/2012 is correct and have it amended if necessary. The first £10,100 of capital gains is exempt from CGT for 2010/2011. The annual exempt amount cannot be carried forward, so use it if you can. Consider inter-spouse transfers so that you make use of both annual exemptions. If you are planning to sell an asset at a substantial gain consider whether you can defer the sale until after 5th April 2011. This will defer the tax payment date by twelve months from 31st January 2012 to 31st January 2013. However, if the asset is one where the sale is by contract, you should note that the contract date is the relevant date for CGT, not the completion date or the date when you receive the money. IHT planning can save your family a lot of money. Make sure you have a will so that your assets pass to those you intend to benefit when you die. Where remuneration can be justified, it may be beneficial to make payments to a spouse or other family members to reduce the overall tax and national insurance liability. Review timing of disposal and acquisition of business assets to minimise tax or obtain tax deferral. In particular, expenditure on qualifying plant and machinery benefits from the new Annual Investment Allowance (£100,000 for 2010/2011 but to be reduced to £25,000 from April 2012). 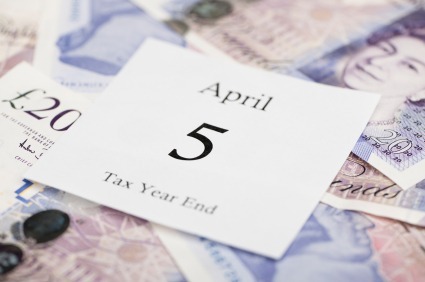 Employers should check procedures for year-end payroll returns as dead-lines will approach after 5th April. All company tax planning should ideally take place before their year end. Once an accounting period has ended, the time has passed to make any changes to the transactions. Certain items of expenditure may be accelerated or sales transactions deferred in order to minimise profits in a period. The company may consider making additional pension contributions on behalf of its directors. The contributions must be paid before the end of the accounting period to qualify for corporation tax relief for that period. The timing and amount of bonuses for directors and dividends for shareholders is crucial. Bonuses must be paid within nine months of the company’s year end to ensure tax relief for the company in that period. NIC will increase by 1% from April 2011. If a bonus is due a saving of 2% could be achieved by issuing payment before 6th April 2011- 1% saving for the employer and 1% saving for the employee. Outstanding loans to a director at the year end attract a corporation tax charge of 25% of the loan unless the loan is repaid within nine months of the year end. There is an incentive to file the corporation tax return as soon as possible after the end of the accounting period because H M Revenue and Customs have 12 months from when the return is filed to open an enquiry. A loss sustained in one tax year can be set off against income from other sources for that tax year and the previous one. Any losses unused in this way can then be carried forward. However, the carried forward losses can only be used against future profits of the same (i.e. the currently loss-making) trade. As might be expected, because these reliefs are so generous, there are some pitfalls to look out for. For example, if the losses continue year after year HMRC may question whether the trade really is being carried on “on a commercial basis and with a view to the realisation of profit.” If they think it is not being carried on on that basis then they will re-classify it as a “hobby” and will not allow the set-off of losses against income from other sources. The reliefs available for losses from property rentals are more restricted. They can only be carried forward and used against future profits from the property rental business itself. For more information on Year End Tax Planning contact us here at M.B. McGrady & Co.